After my first contract working in the Falklands I wanted to thaw out a bit, so I applied to volunteer at the Sharklab for 2 months. After I finished my contract down south I emailed Doc to see if I could come visit and was offered a management position. I returned to the lab in 2007 as the media manager and began working to bring in productions and build my skills as an underwater videographer. I was at the lab until February 2009, when I left to pursue more film work. Jillian and I returned to lab to fill in as assistant managers for a brief period at the end of 2009 before setting off on two years of world traveling and filming. One of my favorite memories of Doc was whilst during a crossing of the gulf stream – Doc and Tristan driving a small 14ft Sundance skiff – Doc at the wheel and Tristan at the Throttle – I was driving a 30ft Mako loaded with film gear and a production crew member that was particularly prone to sea sickness. After a few disagreements with the film crew Doc jumped in the skiff and gunned it for the horizon! – Shouting over his shoulder – “Dunk – See you half way for lunch”! “Half Way”? In the Gulf Stream? Where is that? Anyhow – It was a good 20 minutes later we were loaded up and ready to roll! The seas were still a little ropey with a long heavy swell. I set the GPS to the Boynton Beach inlet and hit the throttle! 5 miles out – No sign of Doc! 10 Miles out – a Thunderstorm! And no sign of Doc – 20 miles out — Still no Doc! At this point I am thinking WTF! Where is he? No answer on the radio? Plus also due to the fact he was in a boat comparable to a bath tub toy, I was getting more concerned by the minute! Could the boat have flipped? Should I just do circles in search? How the hell do you search the Gulf Stream? Mean while my co- pilot is screaming to RALPH and feeding the fishes off the back of the boat! I pushed further to the 25 mile mid point – and felt my heart in my mouth as I saw an empty skiff as it bobbed around on the top of a wave before falling into the trough. Where were they!!!! I set course and motored over to their skiff – checking the surrounding water for any bobbing heads and then……. From inside the Skiff Docs head popped up holding a boiled egg, before he smiles at us; shouts “What took you soo long” whilst dipping his egg in the salty water of the gulf stream before lying back down to resume his nap on the deck! 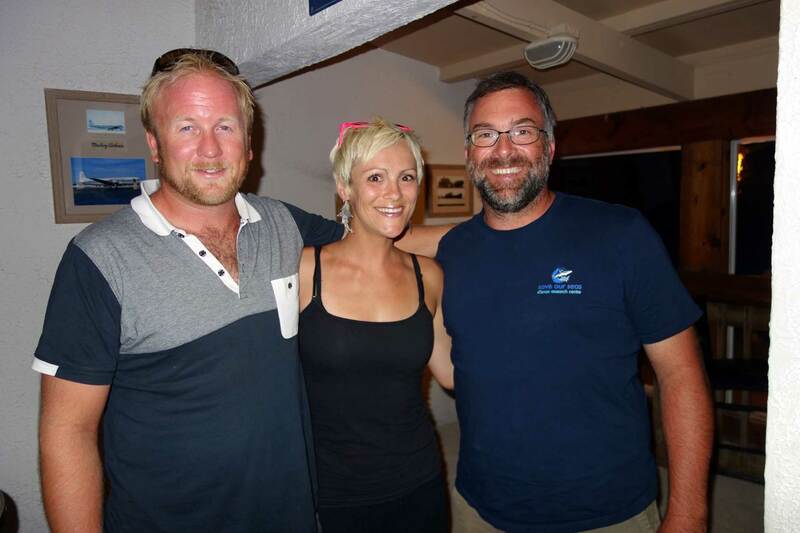 During a film shoot with a production team from the UK – Doc and a group of Sharklabbers ventured aboard a local liveaboard on a research trip to Tiger Beach. A popular shark diving destination where you dive with Lemon sharks and Tigers. The production was a host led piece and the team was keen to secure a sequence with Doc and the host sitting on the bottom surrounded by Lemon Sharks – Be careful what you wish for! At the time I was second camera and was tasked with floating above the group to get an overhead shot of the action! Doc, the host, the producer and first camera were situated down in a circle on the sand. Doc had a large black garbage bag full of bait (silver sides) he had brought down with him to ensure the sharks would be milling around the group. 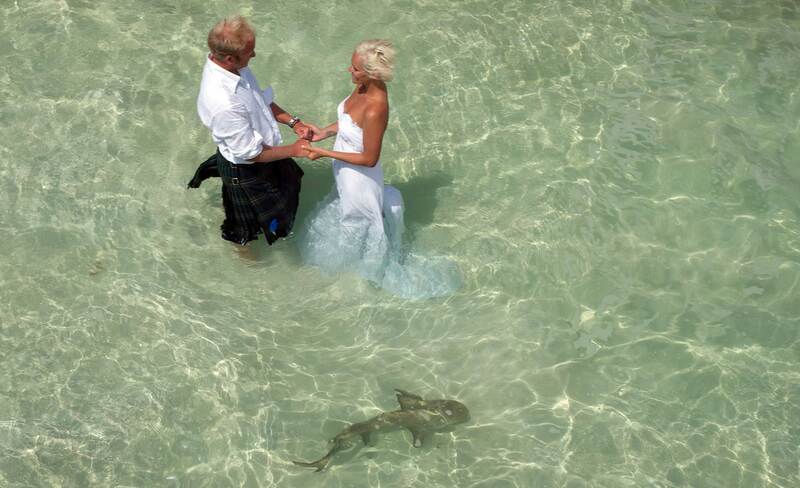 After they had enough lemon sharks around and were ready to film – Doc decided he would hand the producer the bag of bait – Which the producer did not want. Following ensued a bunch of random hand gestures with Doc shaking the bag at the producer and the producer enthusiastically shaking he hands and head in a ‘NO WAY”! motion! Whilst their focus had shifted, a sneaky adult lemon shark whose was clearly thinking about his lunch and nothing else, barreled into the middle of the circle and presumed that the big bag of bait being frantically waved around was for him! The Lemon bit straight into the bag tearing it wide open, snatching it out of Docs hand before swimming directly up towards me, shaking its head back and forth. As the Lemon swam up it sent the whole bag of bait raining down on the group below. Some of the members in the group made themselves small before, adopting the Fetal position, before 40 something hungry lemon sharks engulfed the group. It seemed like an eternity until I could identify something that resembled a human being blended in between the fins, claspers and teeth. Eventually all the bait was consumed and the tornado of lemon sharks moved off the group. As they reappeared beneath us several of the team could be seen checking all their body parts and family jewels! All Good – !!! And They DEFINIETLY GOT THE SHOT!!! When we surfaced – a wide eyed production team member, grinning from ear to ear shouted “ Bloody hell” – “That was a bit exciting”! 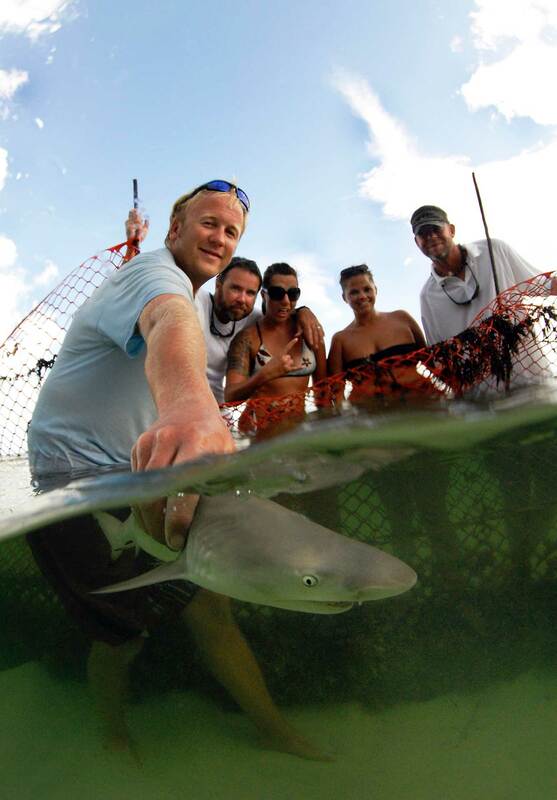 Working for Doc and the Shark Lab, directly put me in access to some of some of the most unique, passionate and dedicated people in the world, as well as hands on experience with ground breaking research. It provided me with a stepping stone to gain experience and excel in the field of underwater videography. 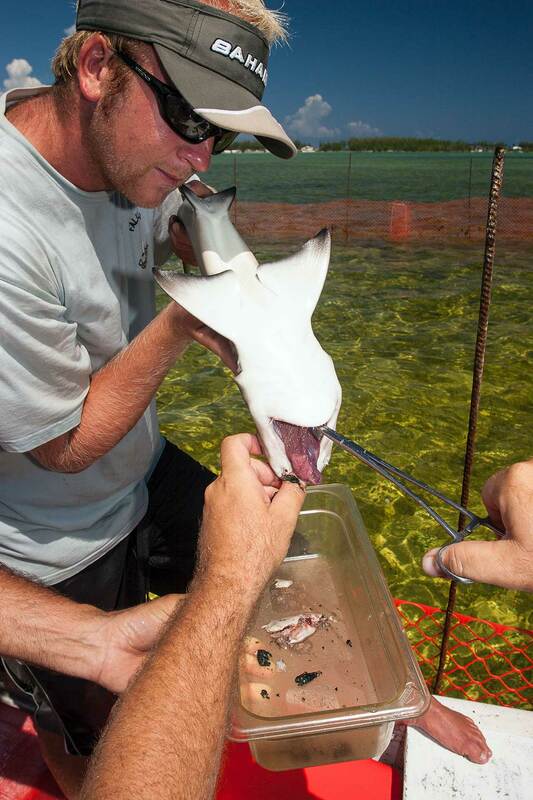 I owe much of my success to the Sharklab and its veterans and wish them many happy and productive years to come.